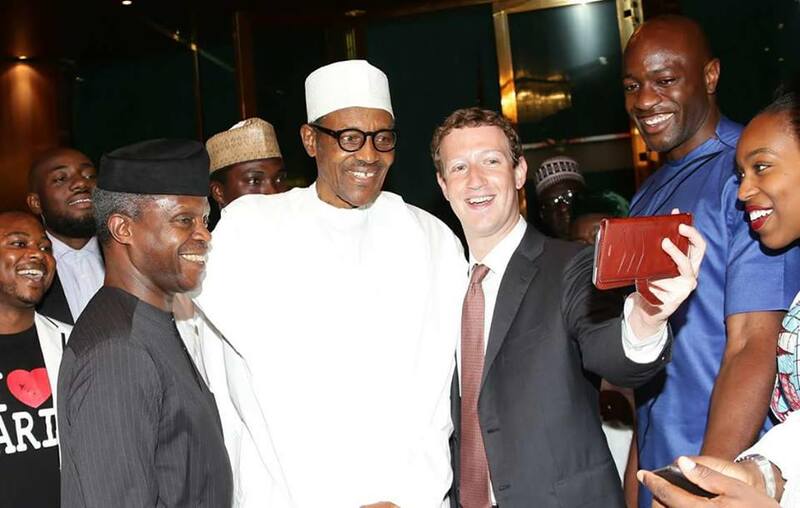 Examining the impact Facebook's Mark Zuckerberg visit to Nigeria. Why is the visit of Facebook founder Mark Zuckerberg to Nigeria such a big deal,or is it?According to CNN,the CEO has just made his first visit to ‘Sub-Sahara-Africa’ to witness the impact of his Facebook social media enterprise and to promote his Express WIFI internet service. One should point it out to the CNN journalists and researchers, probably graduates from fourth-grade American universities, that there really isn’t a place called ‘Sub-Sahara-Africa’ anymore as it’s populated with countries that have names like ‘Nigeria’. So Billionaire Mark Zuckerberg arrives in Nigeria, incognito, wearing his trademark low-key T-shirt and jeans and casually strolls into the Yaba offices of Co-creation Hub and Andela. For future reference someone ought to tell him that if you’re 54 billion dollar Golden Goose you don’t go walk about in Yaba. The area boys there will jump you, mug you and kidnap you – bodyguards or not! But yet again nobody probably told him that if you’re a Tech Giant in Nigeria ( - do we have any?) you’re supposed to arrive in an entourage comprising of gun-toting policemen, bullet-proof 4X4s, a bevy of hanger-ons – and of course the full red carpet treatment. But yet again our mentalities are different. When a Black Man has mega-money he suddenly thinks he’s the King of the Universe, struts around like a peacock on heat, reeking of ostentatious luxury and expects everyone to bow down and kiss his feet. Whereas the White Man thinks ‘well I’m stupendously rich but I still want to live my simple life’. Big difference. Money doesn’t make a person! Whilst we might be ‘fantastically corrupt’ as ex-PM British Cameron once referred to us, the world – and tech giants – are watching us carefully, especially our youths who are a dab hand at computers, coding and social media( - not forgetting the antics of the yahoo yahoo 419 boys for which we’re infamously known worldwide!). Nigeria has the largest online social media base and its growing, perpetuating every aspect of lives. Growth is greater in Africa than it is in the rest of the world. For marketers and developers this is paradise: a vast untapped market. The Western world is finally waking up to the fact that we’re not just a bunch of tree-climbing, monkey-chasing, goat-herding imbeciles as previously thought. We have as much raw talent as they do, hence his visit. Kenya, Zuckerbergs next port of call, is a world leader in mobile payments and he was keen to learn all about it. Just like in Nigeria Kenya has its own silicon valley called iHub and many of the developers and start-ups are working on apps geared towards the local populace. While we have a government and private investors who are blind to the advances being made by our tech savvy youths (- until they hack their bank accounts!) others are watching carefully and ready to invest in them. As Zuckerberg himself admits that Africa will build the future. This is the third foreign billionaire to visit Nigeria in recent times: one,Gates, came to donate cash towards our ailing and failing health service, another, Bono of U2, came to highlight the plight of people living in deplorable IDP camps and now Zuckerberg. Isn’t it time our own home-grown ‘billionaires’ follow suit, or haven’t they been shamed enough?